Deborah St James is shocked when Cherokee River, the brother of the woman she lived with during her difficult student days in America, shows up on the doorstep of her London home. Chine River, she is told, is in a musty Guernsey jail, accused of murdering wealthy Guy Brouard during her stay at his Channel Isles estate. Stunned, Deborah and her analytical husband, Simon, are soon on their way to Guernsey, and as usual with George's multilayered thrillers, it takes keen insight and hard work to disentangle the intricately woven snarl of secrets and lies that awaits them - the first of which surrounds Brouard himself. A familiar setup? You bet, but as the celebrated mystery writer's fans know, there's nothing predicable about the way George works things out. Once again, her nuanced characterizations drive the novel; the troubling problems of Brouard's family and acquaintances must be fully limned before the murderer comes to light. That's true, as well, of the St. Jameses, perhaps the least vigorous of George's customary cast, whose investigations force them to confront difficulties in their own May-December marriage. Like the author's previous books, this commands attention. It's dense, complex, and riveting. This exquisitely plotted mystery bursts with well-developed characters, notably forensic scientist Simon St James and his photographer wife, Deborah. Lured by the free airline tickets and the $5000 fee, China River, an old friend of Deborah's, and her half-brother, Cherokee (their mother was into the hippie counterculture), agree to fly from sunny California to rainy England to deliver a package containing architectural drawings to Guy Brouard, a rich landholder on the Channel island of Guernsey. The drawings are for a museum Brouard plans to build on the island honoring those who resisted the WWII German occupation. When the philanthroping philanthropist gets murdered and the police arrest China, Cherokee turns to Simon and Deborah for help. Curiously, for all the victim's wealth, no one seems to benefit from his death. The theme of hiding - of hopes, of the past, of the secret places - underpins this intricate story about friendship, anger, loyalty and betrayal. Comic touches provide some relief as the suspense builds to an unexpected and explosive climax. With her flair for language, George reinforces her reputation as one of today's finest mystery writers. Forecast: The broadcast of four new mystery episodes on PBS featuring George's Inspector Lynley, who makes a cameo appearance in A PLACE OF HIDING, may help lengthen the novel's run on the bestseller list. George has mastered the British mystery so well that you'd never guess she's American. The 12 books in her Lynley series are woven together in intricate but seamless patterns ...  This is mystery writing at its most complex and intelligent. 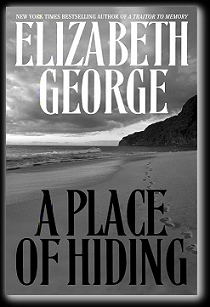 You won't find Inspector Lynley in Elizabeth George's latest. A departure from her series novels, A PLACE OF HIDING winningly focuses on Deborah St. James and her husband, Simon, supporting characters in her Lynley novels ... Even the supporting characters are intriguing, and Guy, dead from Chapter One, looms large throughout. Two summers ago, Elizabeth George published A Traitor to Memory in her series of British detective mysteries. Now, the 12th and newest in the series is out, giving readers a fix of the author's trademarks: an intricate plot, psychologically motivated murder and an upper-crust cast of earnest detectives. Between these novels, George published a collection of short stories, but nothing is as satisfying as a longer work from the canon of this California anglophile. A Place of Hiding is vintage George: a baffling murder with tentacles that reach toward any number of suspects, from California surfers to Holocaust survivors. (A Place of Hiding) is developed, multi-stranded and well paced, and has a very good solution that is wholly satisfying. She tells her story with beautiful and rich prose, and in my mind is the finest American exponent of this type of "traditional" British mystery. (True, she doesn't always get it 100% right, but she's so good that it hardly matters.) Existing fans are apt to think this her strongest work in a while, and those who have not yet read George will find this an excellent place to begin. "George's plotting is sure-handed, but her greatest strenght lies in characterization. She has a gift of which Anthony Trollope was perhaps the foremest exemplar in English: giving full, self-justifying due to every character." 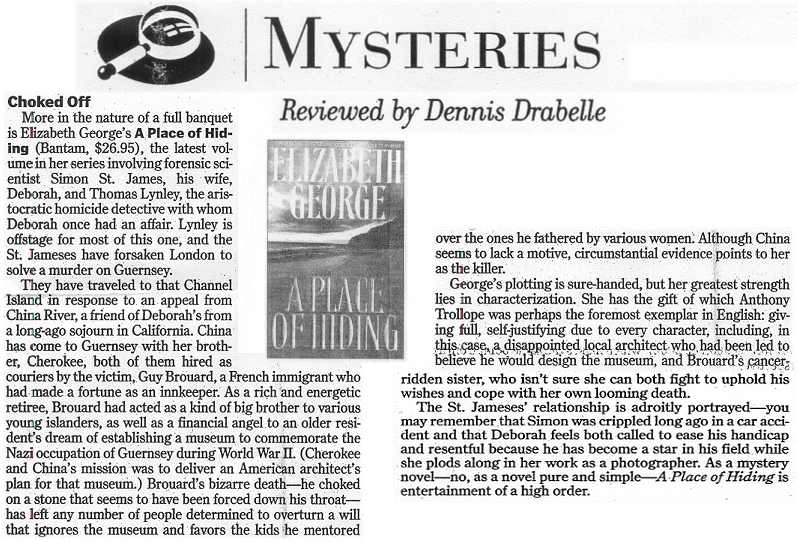 "Elizabeth George is in a class by herself as a mystery/suspense writer. She is many stories above Dame Agatha Christie, in an entirely different strata than John Grisham or Scott Turow." "Elizabeth George, best know for her Inspector Lynley novels, as struck out into darker territory with a new hero in her latest mystery." 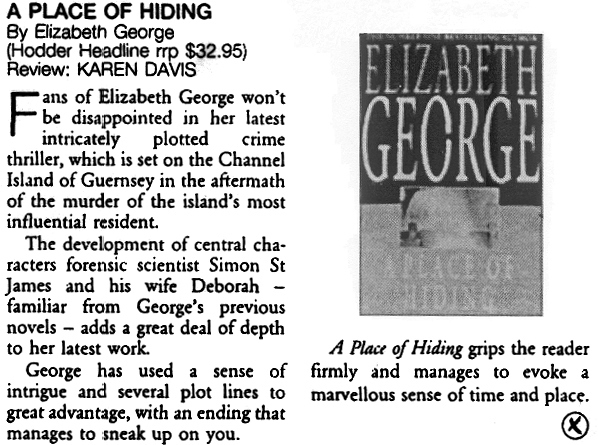 "Fans of Elizabeth George won't be disappointed in her latest intricately plotted crime thriller ... George has used a sense of intrigue and several plot lines to great advantage, with an ending that manages to sneak up on you." "Elizabeth George writes intricately plotted thrillers based around her "hero", Detective Inspector Thomas Lynley, and hi sidekick, the obstreperous Sergeant Havers. You don't just get a dose of good, old-fashioned sleuthing, but a satisfying amount of forensic insight (courtesy of Lynley's best friend, Simon St James) and masses of character development too. The story is set on the Channel Island of Guernsey, and this time Lynley is only a peripheral character, while St. James follows his wife, Deborah, as she attempts to prove the innocence of a freind accused of murdering the island's richest citizen.